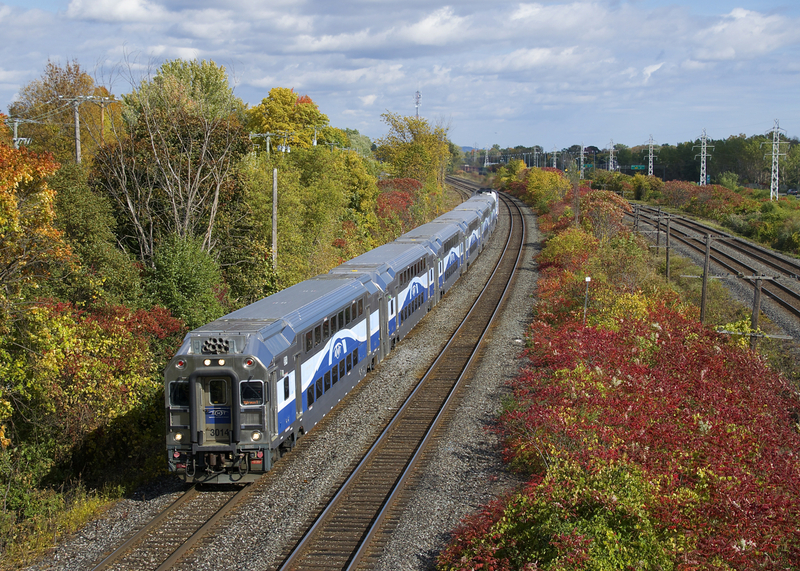 Railpictures.ca - Michael Berry Photo: Cab car AMT 3014 leads EXO 61 through Beaconsfield after its stop at Beaconsfield Station amidst some nice fall colours. | Railpictures.ca – Canadian Railway Photography – photographie ferroviaire Canadienne. Caption: Cab car AMT 3014 leads EXO 61 through Beaconsfield after its stop at Beaconsfield Station amidst some nice fall colours.